Autodesk® Vault is part of the Autodesk Digital Prototyping solution. The Autodesk® Vault family of data management software helps you keep track of all your digital design data and documentation. It securely stores and manages data in a central location, helping teams quickly create, share, and reuse digital prototyping information. With Autodesk® Vault Workgroup, Autodesk® Vault Professional, and Autodesk® Vault Office software, you‘ll spend less time chasing down files and more time creating innovative designs. 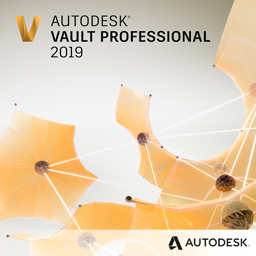 Autodesk Vault boasts an enhanced security model combining previously disparate state and object based securities on files and folders as well as enhancements to Copy Design folder management and a new Autodesk Factory Design integration. The product line helps design, engineering, and manufacturing workgroups manage the digital prototyping process. Users can reduce time organizing files, avoid costly mistakes, and more efficiently release and revise designs. The data management software’s revision process can be quickly deployed or tailored to unique requirements. Contact us if you’re interested in implementing Autodesk® Vault. Applied Engineering helps companies install, configure and incorporate best practices in data management using Autodesk Vault throughout Minnesota, North Dakota, South Dakota, Wisconsin and Northern Iowa.